It’s time to assess your business (or your business plan, if you have one). Do you have a first-quarter assessment? In this blog, I’m providing you one, so you can measure your results and compare those to your goals. Of course, you’ll want to measure the goals you set at the beginning of the year. Use this form to do that. 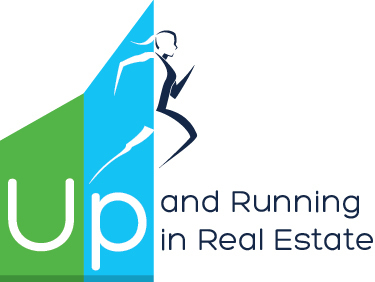 In my business start-up plan for new agents, Up and Running in 30 Days, I break all real estate activities into the 2 categories above to create a business start-up plan for success. Why? To give new agents a precise, correct model for a successful business. We are creatures of habit. Without a different model, we tend to do whatever group of activities which appeal to us because they’re easy and don’t take us out of our comfort zone. Unfortunately, then, we create a business activity plan that leads us to failure, not success. How do you know which ‘business plan’ you’re following? (because you’re following one, whether you’ve written it down or not!)? Simply look at your schedule for the last 2-3 weeks. Put your activities into the two columns above. How many business-producing activities did you do? Is your activity schedule highly ‘tilted’ toward business supporting activities? Why? What do you want to change? 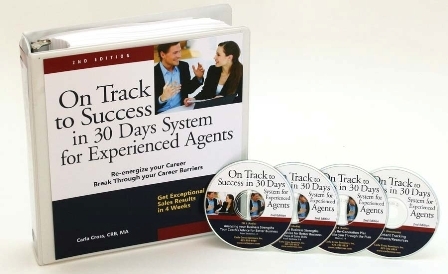 Note: There are many more analysis tools in this month’s featured resource, The On Track to Success in 30 Days System for the Experienced Agent. This comprehensive resource is like having your own consultant 24/7. In each section, you have the opportunity to analyze your strengths and challenges and make a specific plan to improve. In addition, there’s a 30-day regeneration plan. See more at The On Track to Success in 30 Days System for the Experienced Agent.